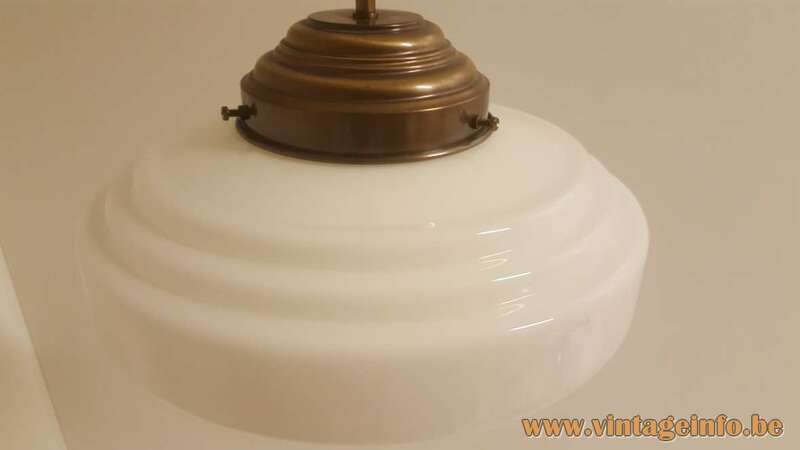 Materials: White opal glass, copper parts. 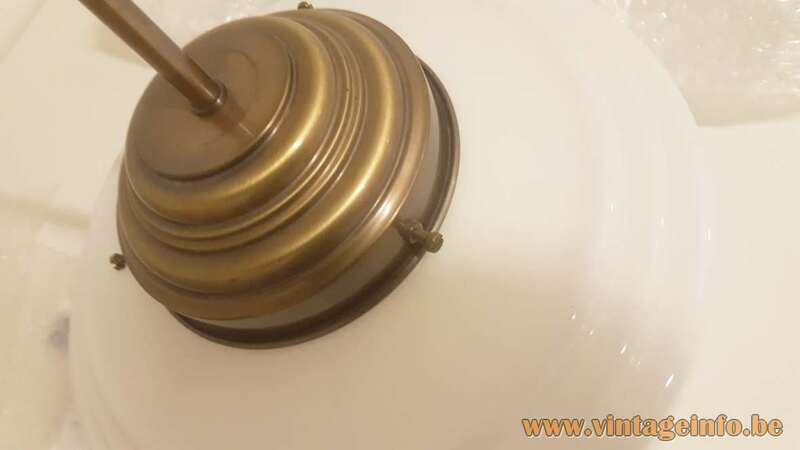 Copper adjustable rod and canopy. Bakelite socket. Period: 1970s, 1980s – Art deco/Bauhaus revival. 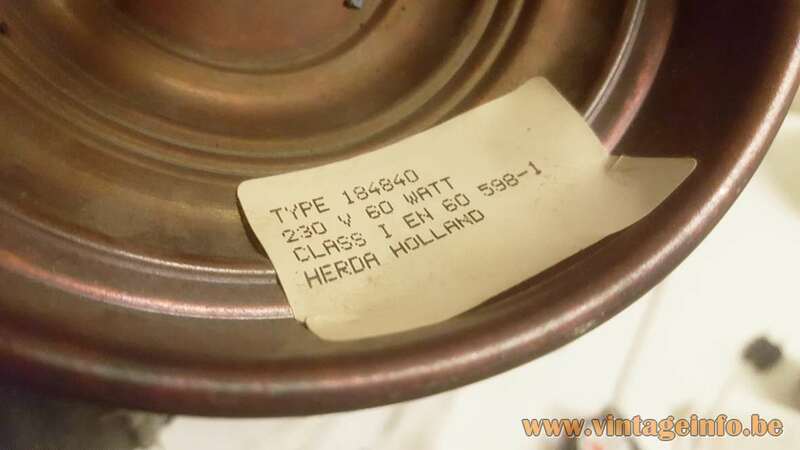 Manufacturer: Herda Verlichting BV, Amsterdam, The Netherlands. Other versions: Unknown. 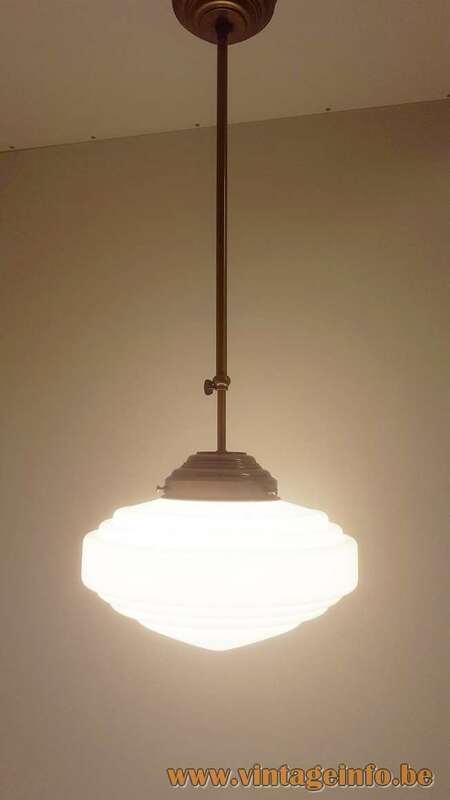 This pendant lamp is a copy or at least inspired by lamps that were made in the art deco, Bauhaus period, 1910 – 1940. 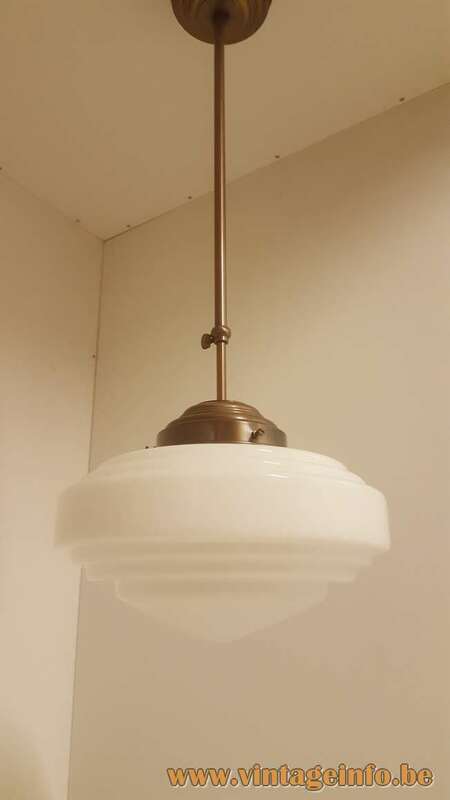 This lamp was made in the 1980s. 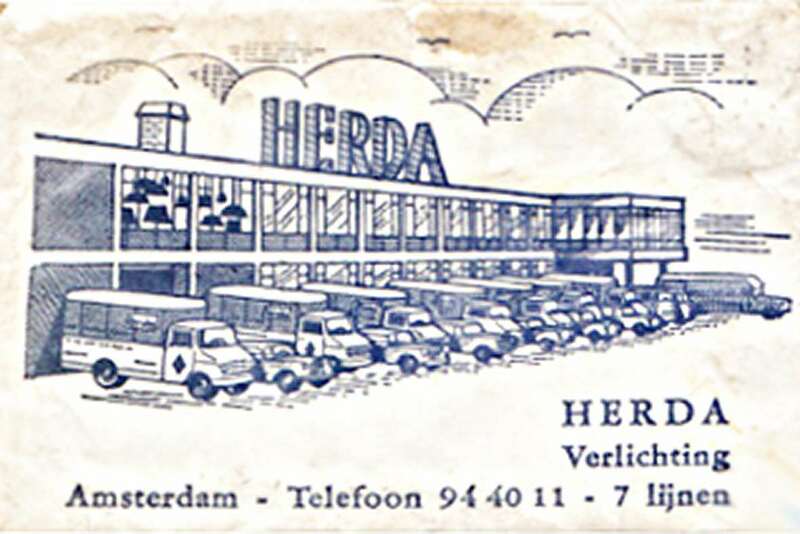 Herda Verlichting BV (Herda Lighting company) was a owned by the Dutch “brothers Daniels” family and was located in Amsterdam, The Netherlands. Founded in 1946 and declared bankrupt on June 24, 1997. 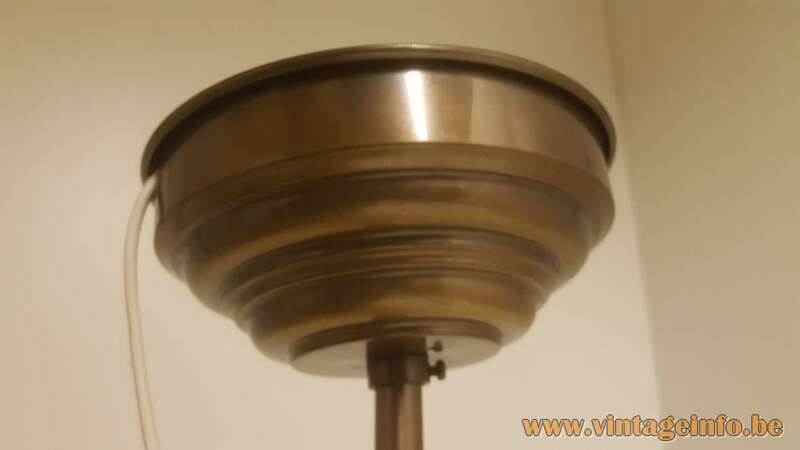 Herda had some top designers employed, including Willem van Oyen Sr. who is famous for his lamps he designed for the Raak Amsterdam company, also from The Netherlands.